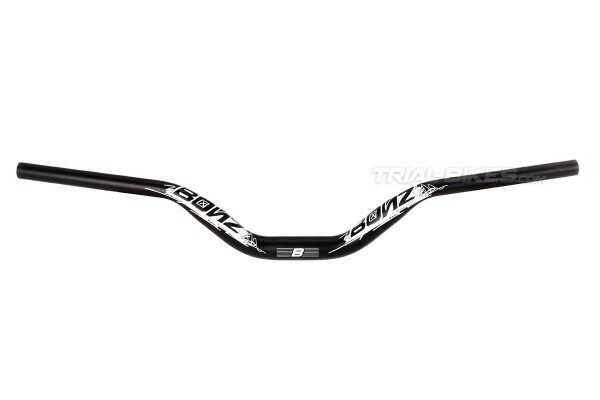 - New edition of the Bonz Pro Light high rise handlebar, now in a Street special edition. - Developed and tested by Ozonys Street team rider Yohan Triboulat. - Special edition, now with higher rise and a more aggressive geometry, ideal for Street riding. - Made from high quality 7075 T6 aluminium, which provides necessary strength for Street trials. 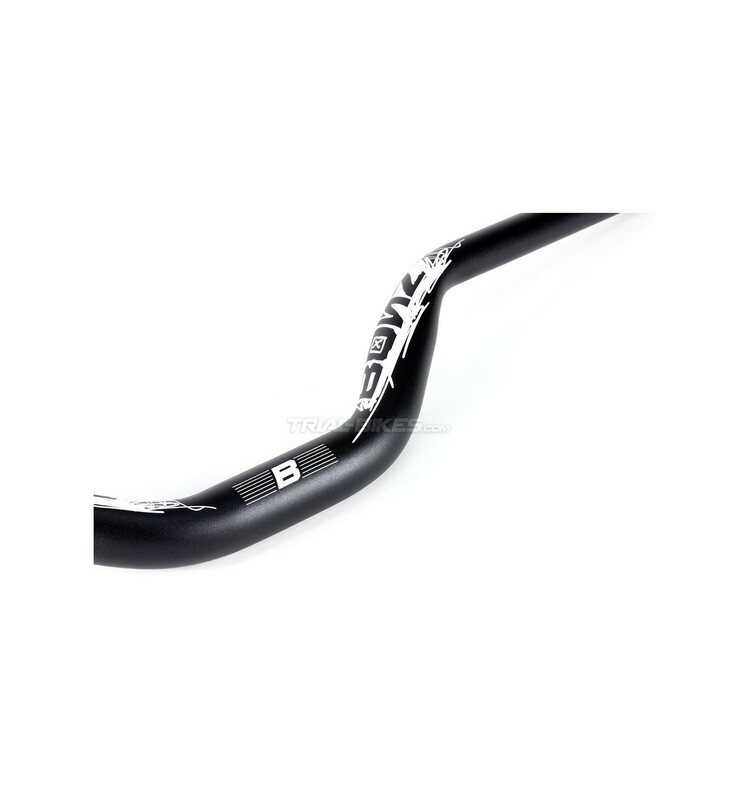 - Suitable for all 20”, 24” and 26” bikes. - Its high rise means it can be set up in many different positions, thus being great for any kind of riders. 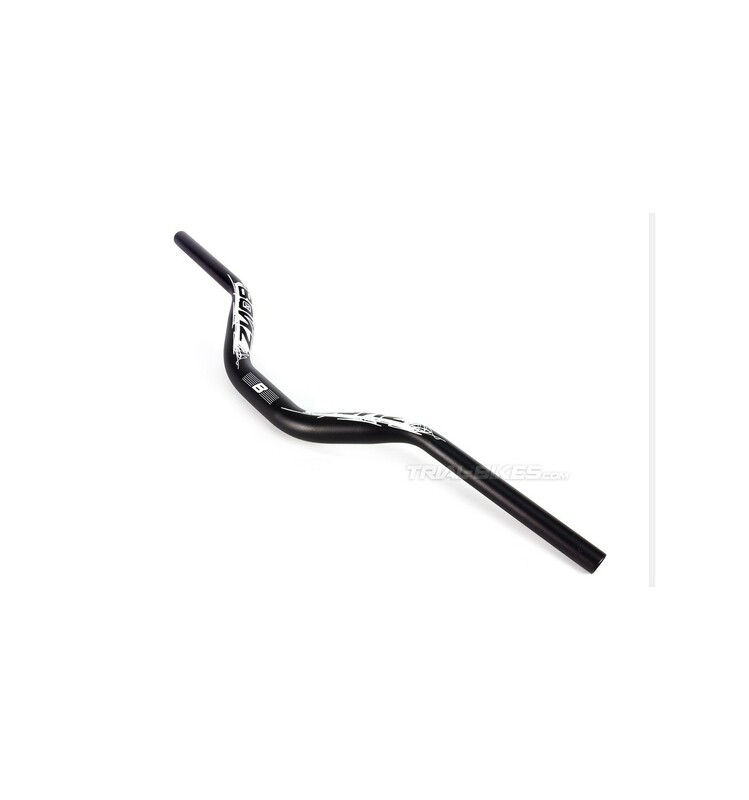 - Ø 31.8mm oversized clamp diameter, suitable for almost all Biketrial stems. 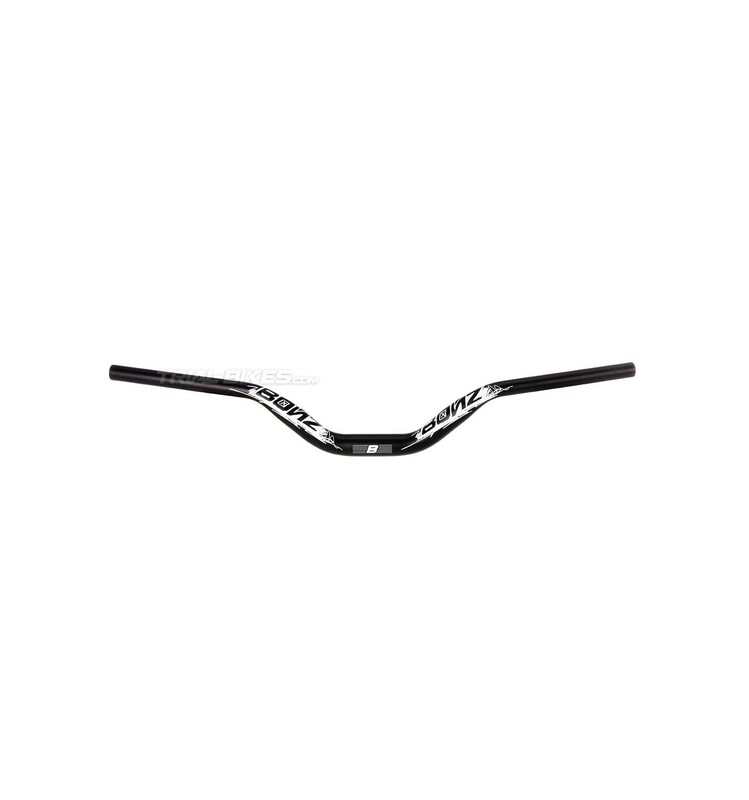 - 740mm long, which is the ideal length to guarantee comfort and stability. - Available in black anodized finish, with white Bonz graphics and logo.